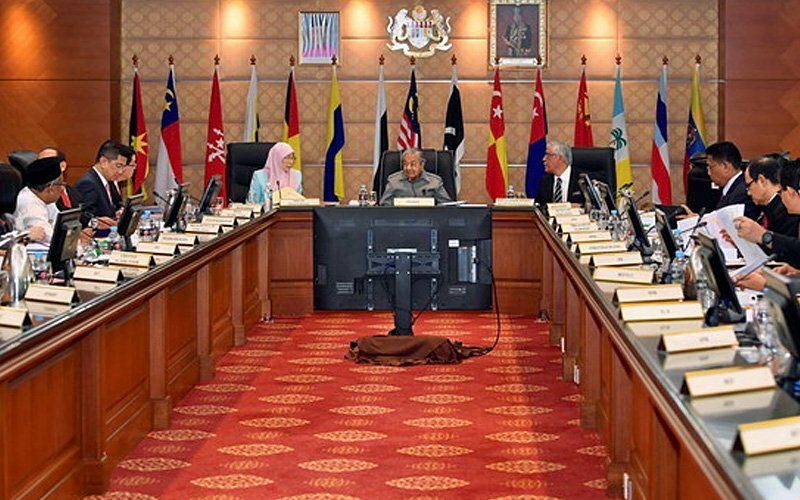 BUTTERWORTH: A federal minister has given a glimpse into what goes on during Cabinet meetings chaired by Prime Minister Dr Mahathir Mohamad. According to Domestic Trade and Consumer Affairs Minister Saifuddin Nasution Ismail, the 93-year-old has left his younger ministers in shock and awe with his sharp mind. He said most of the Cabinet members are amazed at how the prime minister at his age could still be on top of things, from small issues to big ones concerning the world and the economy. He said at every meeting, the PM would begin with a preface session, where he talks about all matters local and global. Saifuddin said during the meeting which could last between 60 and 90 minutes, ministers would be anxious and on their toes about one thing: a pocket notebook the PM carries in his pocket. Saifuddin said that book contained Mahathir’s astute observations on his surroundings and all matters. “He would take this book out of his pocket and he will talk about all and sundry. “Then we would all look at the federal territories minister, and put him in a spot. Our PM is one that micromanages,” Saifuddin said with a laugh. Saifuddin was giving introductory remarks during a townhall session with officers of the Penang Domestic Trade and Consumer Affairs ministry recently. He said while he was not put in a spot, he imagined how he might have been asked about why the prices of eggs of a certain grade had shot up. Saifuddin said he always made sure he did his homework and was briefed adequately by the officials in the ministry. He said he could remember the average prices of the top 10 goods purchased by Malaysians.